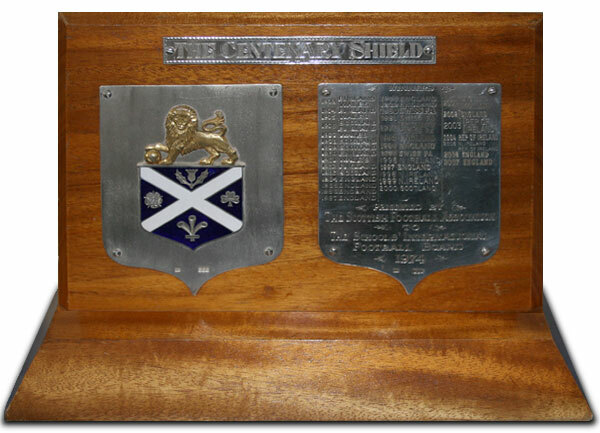 The Centenary Shield for Under-18 Schoolboy teams was first played in the 1972/73 season between England, Scotland and Wales, with the English and Welsh sharing the title. The original trophy [right] was presented to the SAFIB by the Scottish FA, which in 1973 was celebrating the 100th anniversary of its foundation. 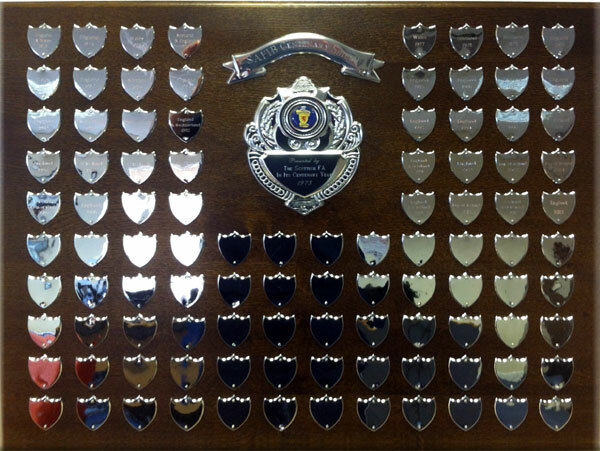 This was replaced by a new larger trophy [below] for the 2012/13 comptetition. The competing nations evolved over the following 23 years; Scotland withdrew in the late-80s and Switzerland enjoyed a successful period in the 1990s. Indeed it was the Swiss who Northern Ireland defeated in the final in 1996, as they won the tournament on the first occasion on which they entered. While the Northern Ireland Schools Under-14/15/16 side dates back to 1927, it was only in 1988 that they played in their first game at Under-18 level, drawing 1-1 with Australia. Up to first entering the Centenary Shield in 1996 they had played just thirteen games, all friendlies. 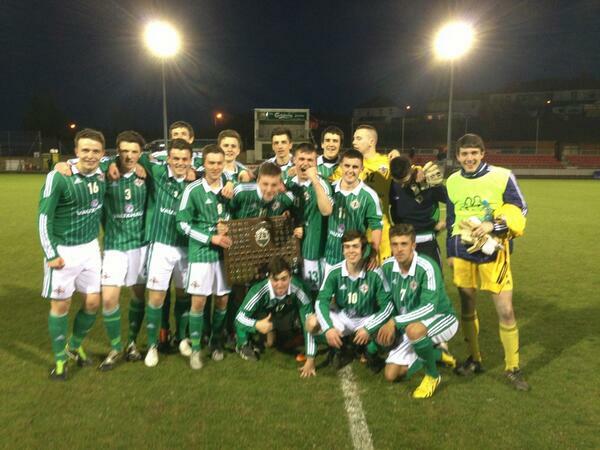 The Centenary Shield has generally been played on a league basis throughout its history, but for Northern Ireland's first entry it was played on a knock-out basis. They defeated Wales 2-1 in the semi-final and Switzerland 1-0 in the final. The tournament returned to a league format in 1998/99, featuring only the "Home Nations", with the Republic of Ireland joining in 2002/03. No matter what the format or who the competitors, Northern Ireland have retained an impressive record in the Centenary Shield, winning it four times outright (1996, 1998, 1999, 2013) and sharing another three titles (2005, 2009, 2011) in twenty entries. The tournament has enjoyed sponsorship from Heinz, Carnegie (Leeds Metropolitan University) and inspiresport at various times dating back to the 1990s.